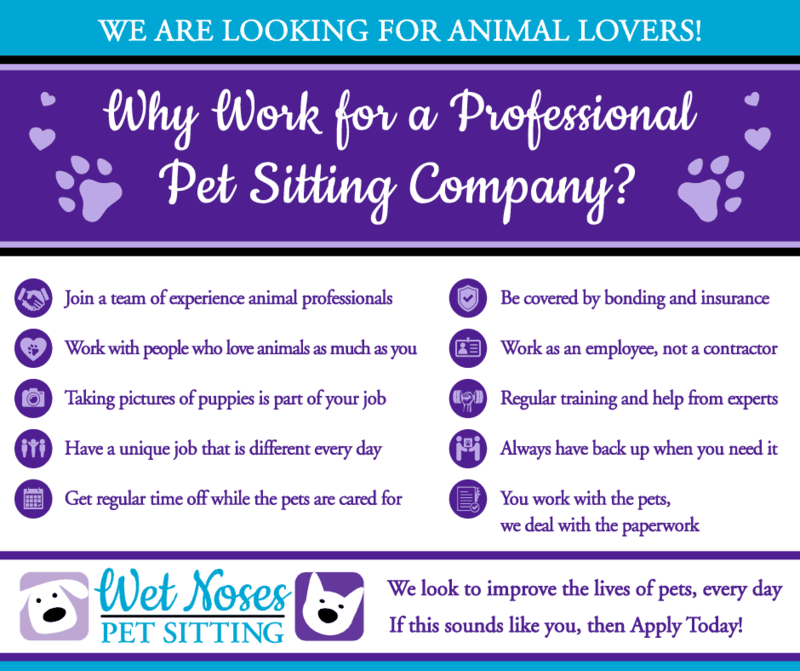 We are a growing pet sitting and dog walking company based in Fort Collins, Colorado, that offers its employees an amazing work environment, flexible schedule and the best furry clients that are always happy to see you! Wet Noses Pet Sitting is a locally owned and operated business whose primary focus is the health and happiness of our furry clients and the quality of life for our employees. Our sitters get to focus on the animals in their care while we deal with the paperwork. We believe in improving animal’s lives every day, whether it is with a long walk, extra cuddles or pet care tips. Available 7 days a week for breakfast, dinner and late night visits. 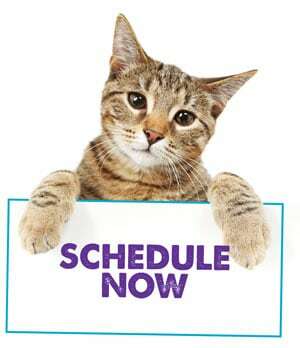 For pet sitting we ask that you be available for small blocks of time. For instance, if you are available from 7 a.m. to 8:30 a.m. for breakfast and 4 p.m. to 6 p.m. for dinner, that will work. Overnight stays and mid day availability is a bonus. Experience with a variety of medications is a bonus. We are always accepting applications for all areas. We will keep applications until we are in need of a sitter in the area. You must live within the hiring area. We try not to send sitters too far from their homes to save on gas and prevent burnout. Sometimes it will take us a couple months to fill your schedule. Multiple part time positions can be combined to full time work. As we gain new clients or have another sitter move, you gain more work. We typically add sitters to our team when we are getting busy in a particular area, but information for qualified people will be kept until we have a need for a new sitter. If you are interested in one of our positions you can fill out our application and we will hold your data until we are hiring in your area again.